In July, the National Institute for Health and Care Excellence issued draft guidance on the service delivery and organisation of emergency and acute medical care. More than 20 million patients access NHS emergency and urgent services each year. In July, the National Institute for Health and Care Excellence (NICE) issued draft guidance on the service delivery and organisation of emergency and acute medical care. Consultation closed in mid-August, with a final publication date set for December. The guidance supports the next steps in the NHS Five Year Forward View, published in October 2014, and includes 23 recommendations for practice, alongside 17 more on research. Its broad remit covers: first points of contact with emergency and acute services; alternatives to hospital care; opening hours and locations of acute services; ward rounds, transfers and discharges; and monitoring and managing hospital bed capacity. Recognising that hospitals find it increasingly challenging to maintain the flow of patients from admission to discharge, the guideline committee looked at interventions to avoid hospital admission and facilitate safe early discharge. 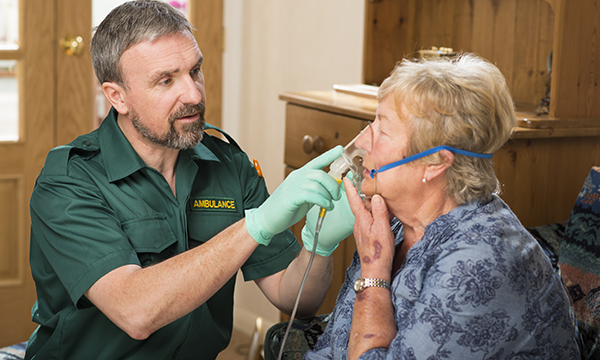 To help relieve pressures, NICE recommends providing more specialist and advanced paramedics who have extended training in assessing and treating people with medical emergencies. Evidence suggests that advanced paramedic practitioners (APPs) can reduce hospital admissions by 13% compared with standard paramedics, says NICE. APPs are able to treat patients in the community, refer them to a GP or decide whether they should go to hospital. The London Ambulance Service introduced its first APPs in February 2014. The NICE document also calls on health providers to monitor total acute bed occupancy, capacity, flow and outcomes in real time, planning capacity to minimise the risks associated with occupancy rates that exceed 90%. People at increased risk of hospital admission or readmission should be provided with nurse-led support in the community, says the guidance. These include patients who have recently suffered a stroke or been diagnosed with heart failure. Nurse-led care is likely to be most effective when integrated with other services and supported by specialist healthcare practitioners, NICE advises. The cost of providing nurse-led support in the community will be at least partially offset by savings through the prevention of hospital admission and readmission, says NICE. The guideline committee suggests that further research should be carried out into the clinical and cost effectiveness of providing extended access to community nursing – for example, during evenings and weekends. Community nursing in all its forms could be part of the solution to the current challenges faced by the NHS, the guidance says. For patients, community nursing can help those with increasingly complex health and social care needs to receive care close to home, be discharged from hospital in a timely way and reduce the need for unplanned care. ‘Given the limited evidence available, I think NICE has done a good job, but it’s hard to make recommendations when the quality of the evidence is lacking. There is such a sparsity in the UK, NICE has had to look at what happens in other countries such as the Netherlands and the US, who don’t have comparable healthcare models. ‘In particular, the recommendations around standardised admissions criteria are sensible. We also welcome those on acute hospital capacity and the recognition of the challenges when this exceeds 90%. APPs could be particularly helpful around frail older patients, but they can only be effective if they have recourse to other resources, especially social care support.